OMG this is Right Up My Alley for reading! Thanks for the contest and the chance to win them! Nice collection. Count me in. 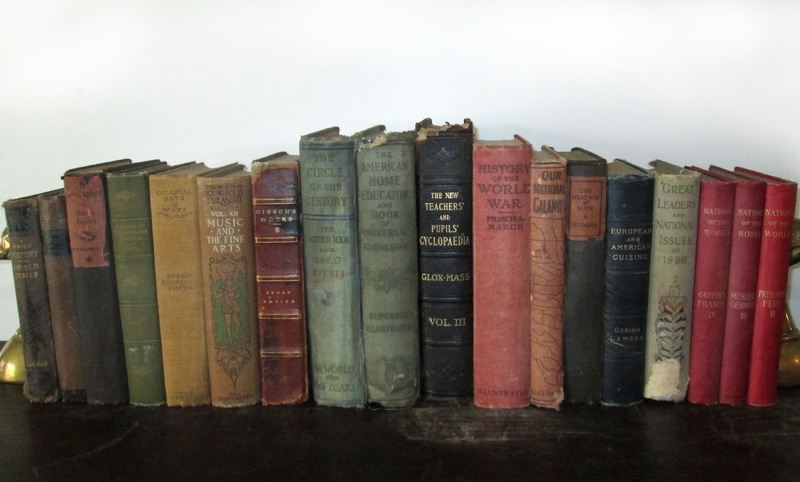 As a homeschooler, who LOVES, teaching with old books, these would be a fantastic addition to our library! I would be so happy to win! 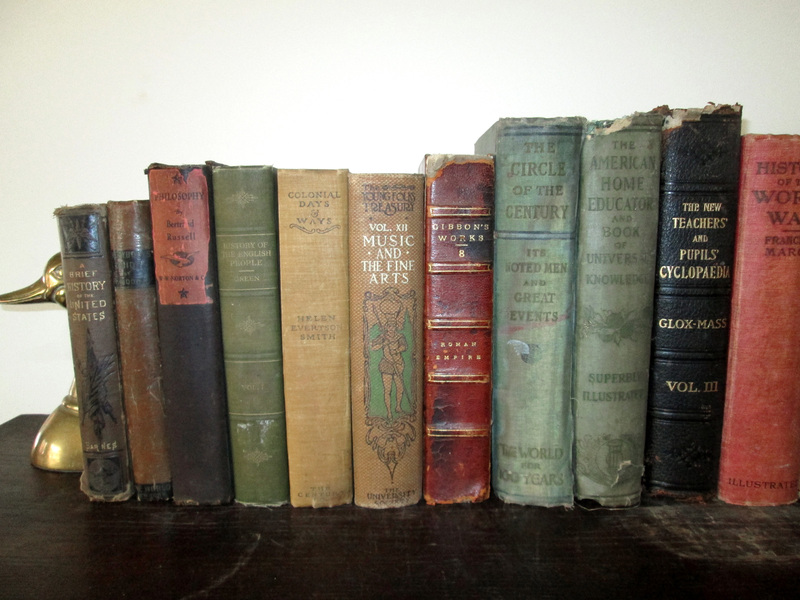 I have a small collection of old books (around 150 so far) and I would love to add more! Tossing my name in the hat. I would feel I had died and gone to heaven if I won these. Just wanted to say I received my books from the other week. Thanks so much! They are lovely! wow! 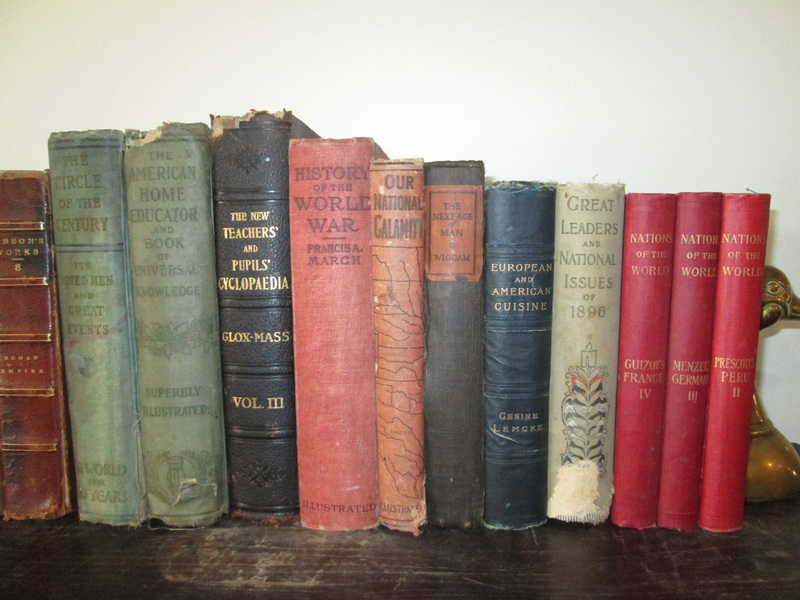 nice old volume of Gibbon in this group, not to mention "our national calamaty"! Very nice! Count me in. Huzzah! Signing up as well. What a wonderful selection. Perfect for our homeschool. Such a treasure! Bookworm here, since the 60's! Nice! Thank you for another chance to win! Love this! Nothing more awesome than books! Gorgeous! Bet they smell heavenly. What a shnice bundled variety of books someone will have to peruse, thank you for a stab at them and have a nice, safe weekend. I'm soooooo in! Great giveaway this week. This would be such an awesome thing to win! Count me in - if I'm not too late.